Disney’s Ralph Breaks The Internet is now available (as of February 12, 2019) on Digital and will be out on Blu-ray/DVD on February 26th! If you haven’t seen it yet, it’s such a fun sequel to Wreck-It Ralph (you can read our Ralph Breaks The Internet review here)! We loved it, so we’re very excited to be able to watch it at home (and to already have a review copy to have on Blu-ray at home – thanks, Disney)! To have some extra fun with the movie, you can print some cute coloring pages or activity sheets – perfect for a Ralph Breaks The Internet movie night or party! You know how much we love Disney movies around here! And, I have an especially fond place in my heart for Disney movies that I’ve attended the Hollywood premiere for (like Ralph Breaks The Internet, MOANA, and Planes to name a few). We also LOVE doing fun family movie nights and these coloring sheets are perfect for that! They’re also perfect for printing off to give the kids something fun to do on Disney road trips or on plane flights. So, be sure to click any of the activities/pages listed below to download and print for free! 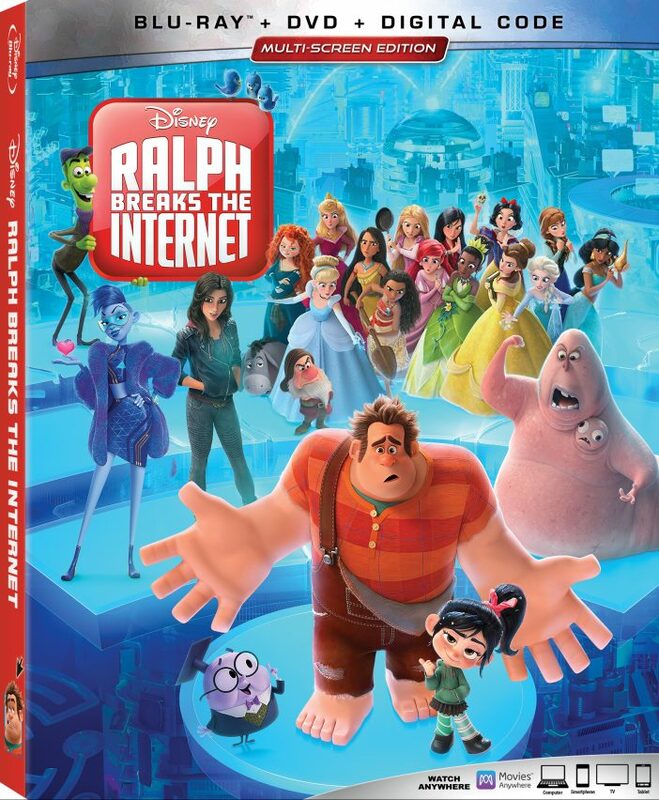 So, be sure to get your copy of the movie, print your favorite pages, and have a fun Ralph Breaks The Internet movie night at home! Need more Ralph & Vanellope fun? Be sure to check out some Wreck-It Ralph coloring pages here and our Ralph Breaks the Internet Gift Guide here. And for some added fun, you can read all about how that now famous Disney princess scene came to be – I LOVE that scene and the story!